Enjoy an organic blend of botanicals used to leave your skin with a sensational glow and feeling of purity. Classic facial with thorough cleansing, steam, massage and customized for your skin. 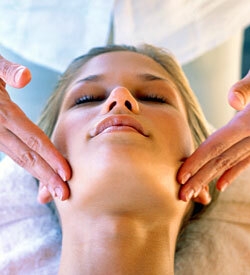 Our most radiant facial—designed to revitalize the skin, increase circulation, and eliminate toxins. Great exfoliation, hydration, and deep pore cleanse for those with oily, congested, and acne-prone skin. Improve the texture and appearance of your skin with this perky peel. Most effectively used in a series of 5 facials. Specially designed for those who need to normalize excess oil and remove impurities. An excellent treatment for dehydrated skin to increase suppleness and plump up fine pores. A Refreshing treatment, the enzymes in fresh pumpkins are full of antioxidants, vitamins and minerals.